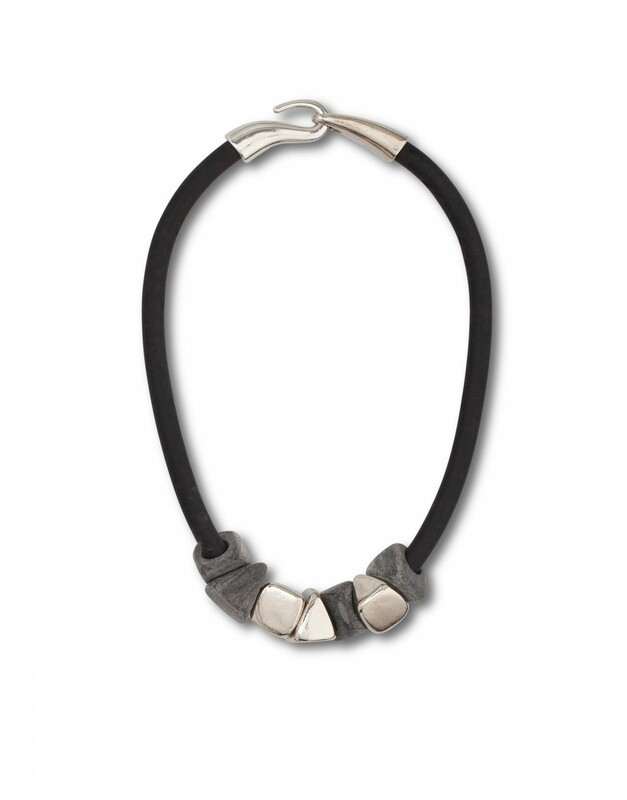 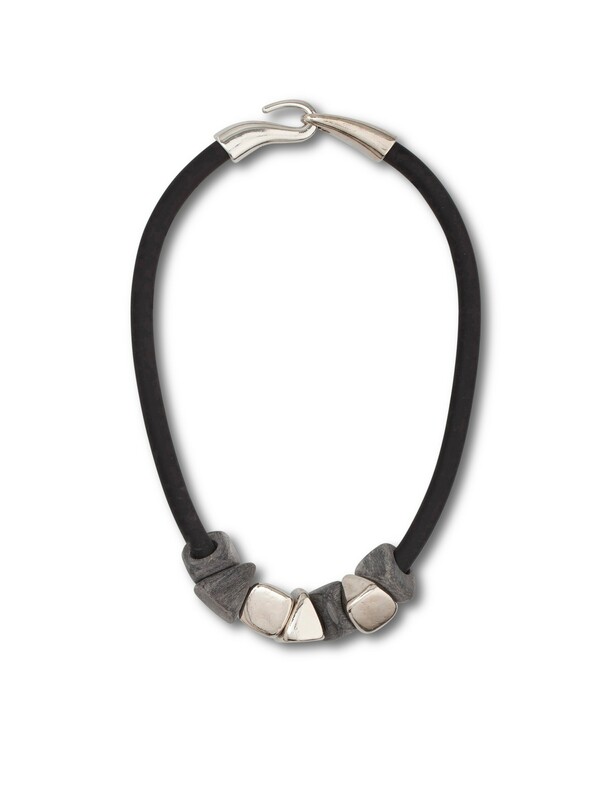 An interesting and beautiful look, this unique short necklace is crafted from black rubber, matte grey resin and silver-color metal castings. 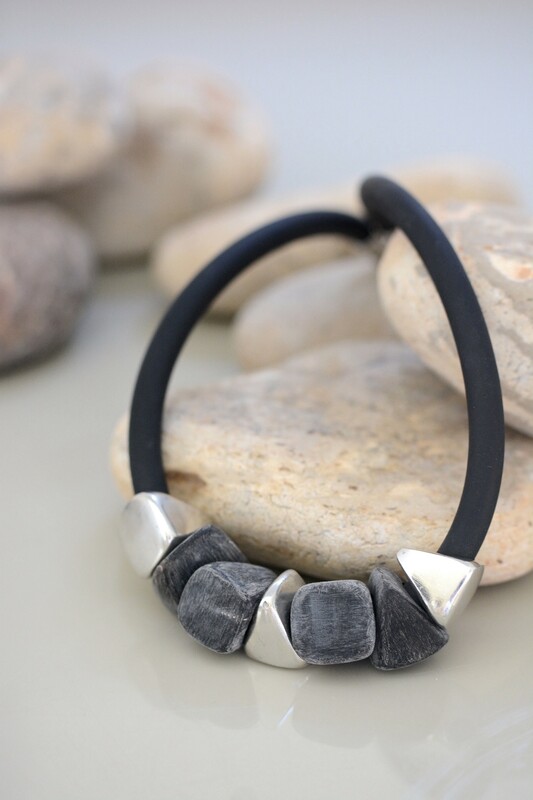 This eclectic design is the perfect addition to any outfit. 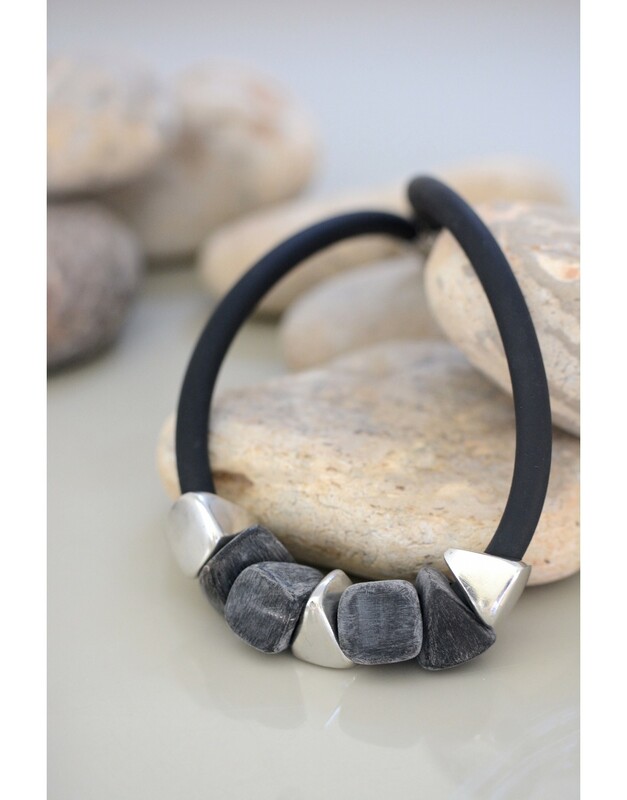 This piece will become a signature item in your fashion collection.